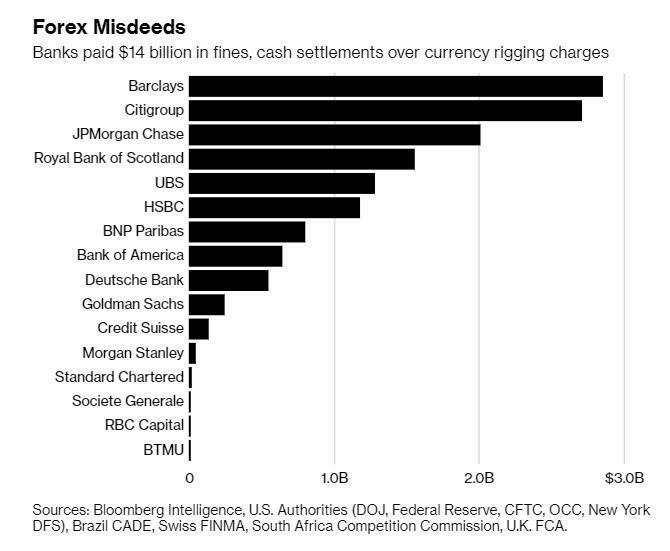 As federal prosecutors in Manhattan press ahead with the trial of three London-based currency traders - members of the infamous "FX Cartel" who allegedly colluded to move exchange rates in their favor during the brief moments before the daily fix - more amusing details from the cartel's group chat where most of the alleged collusion took place have started to emerge. In one anecdote that helps explain the genesis of the cartel conspiracy, two of the three traders, former JPMorgan Chase & Co. trader Richard Usher and ex-Citigroup Inc. trader Rohan Ramchandani, share how they used to "end" each other on opposing trades before they finally "got together." In a prime example of the "market color" that the traders' lawyers said they would swap in the chat group, the conspirators would often swap congratulations when one of their trades was paying off while "discussing" situations where they were on opposing sides in "sometimes angry exchanges." The government has called a handful of other witnesses, including Jeremy Tilsner, a senior director at consultant Alvarez & Marsal, to testify about his analysis of the traders' transactions, while prosecutors also called witnesses from CLS Group Holdings AG, Barclays, JPMorgan and Citigroup to discuss the currency-settlement processes. If the men are convicted, they could face up to 10 years in prison. And after a jury earlier this week handed down convictions for two Deutsche Bank traders for rigging Libor, despite what appeared to be a fumbling performance by the prosecution, we imagine the former "Cartel" members are starting to feel anxious.